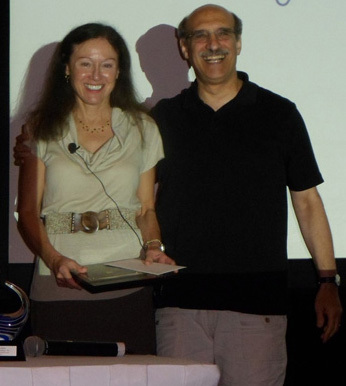 Marianne Bronner was awarded the 2013 Edwin G. Conklin Medal for her distinguished and sustained research in developmental biology and mentoring of the next generation of scientists. Bronner has contributed tremendously to our understanding of the biology of the neural crest, from the timing of its induction at the neural plate border, to the signals that guide its migration pathways. She pioneered the use of single cell injection to track the fates of individual neural crest cells, establishing the multipotency of individual crest cells. Her research expanded into lamprey and amphioxus to uncover the evolutionary origins of both the neural crest and ectodermal placodes. Bronner's group has also been integral in defining the gene regulatory network that underlies neural crest development. 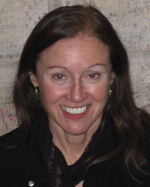 Bronner earned her doctorate in biophysics from Johns Hopkins University in 1979. The following year she started her first lab at the University of California, Irvine. She spent 16 years there, rising to become Associate Director of the Developmental Biology Center before moving her lab to the California Institute of Technology in 1996. She is currently the Albert Billings Ruddock Chair of Biology at Caltech. Bronner has authored over 280 publications and received numerous awards for her research, teaching, and mentoring. In 2009 she was elected to the American Academy of Arts and Sciences and in 2012 The American Society for Cell Biology awarded her the Women in Cell Biology Senior Award for her outstanding scientific achievements and mentoring. She has served the developmental biology community as co-director of the Embryology Course at the Marine Biological Laboratory (1997-2001), SDB President (2009), and is the current president of the International Society for Differentiation. Beyond the science, Bronner is well-respected for her mentoring of students and postdocs. In their nomination letters, Bronner's former trainees repeatedly describe her as enthusiastic and supportive. In her 30-year career, Bronner has put her stamp on neural crest development research. It is difficult for her to pinpoint which discovery is most significant. “I always think the thing I'm working on right now is the most interesting and significant,” she said. That research happens to be defining the regulatory interactions that generate a neural crest cell. Bronner is considered a model for work-life balance by many of her trainees. She credits much of her management skills to being a mother. “I learned how to use small bits of time very efficiently and I think that's served me really well,” she said. In fact, she encourages this on-the-job training. “I've convinced more than one postdoc that they should have a baby."